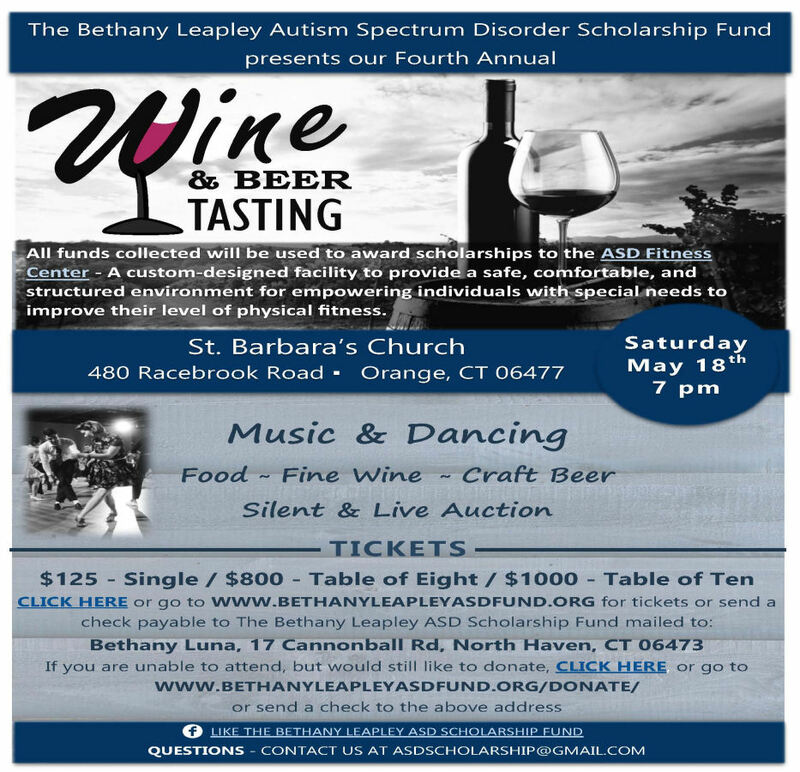 * The Bethany Leapley Autism Spectrum Disorder Scholarship Fund is a US public charity (EIN #46-4363812), recognized by the Internal Revenue Service as exempt from Federal tax under Section 501(c)(3) of the tax code. Donors should consult their tax advisor to determine whether they are eligible to claim a deduction associated with their donation. Note that you will not receive a ticket. Please check in at registration upon your arrival.